Increase of new buds and backbudding. An abundance of Mycorrhiza fungi. What the benefits are from Tibolar-RS NPK 4-6-2 for pines when applied with (re)potting is very clear in these pictures. 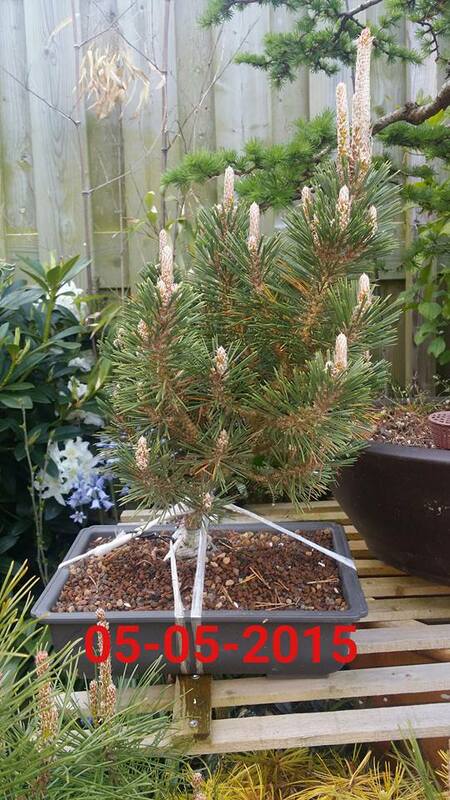 This Kuromatsu ‘Kotobuki’ (Pinus Thunbergii “Kotobuki”) was taken out of the nursery 5th of March 2015, roots were severe pruned, and potted on the 7th of March. Two months later the candles looked very healthy. And when the tree was taken out of the pot on the 20th of November the rootage is abundant and we see a lot of Michoriza fungi. To see the difference in a little more than 8 months time, the first and last picture to compare. This is why Tibolar-RS is very beneficial for pines.